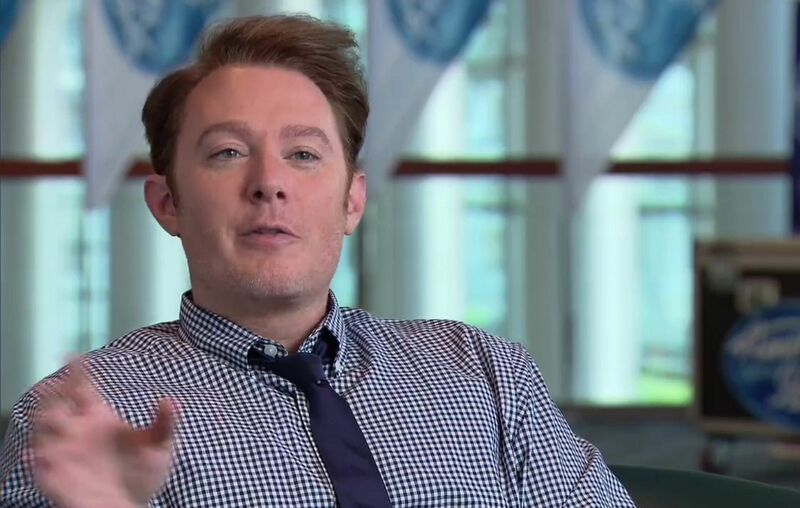 Clay Aiken – This and That! A big thank you to all of you for your comments about our anniversary. I appreciate all your kind remarks! Bowie was a rock music pioneer. He was known as a man who constantly reinvented himself. He was super cool, colorfully flamboyant and relentlessly iconic. From Aladdin Zane to Ziggy Stardust to finally just Bowie, he changed the face of music forever. Bowie died two days after releasing his album, “Blackstar”. It has won some of the best critical reviews of his career. Our condolences to David’s family, his friends, and his fans. 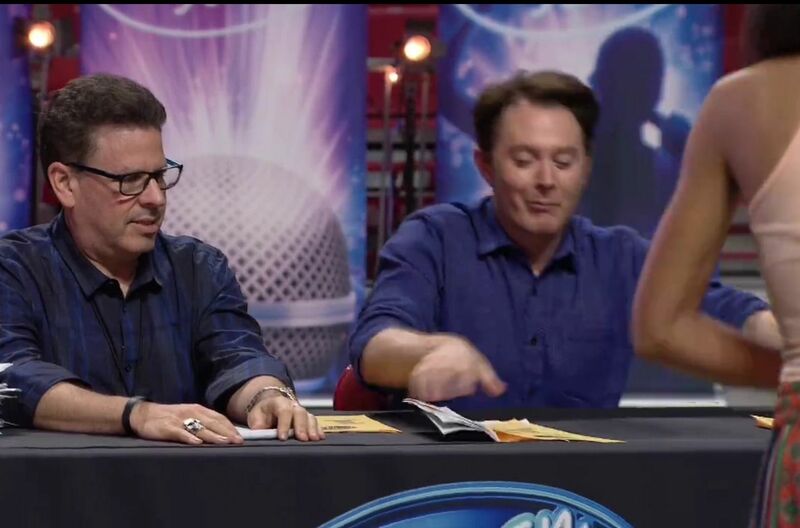 The following are a few screen caps from a video from American Idol. Thank you, lindylo!! Now…how much of this will be a part of the show on Wednesday night? 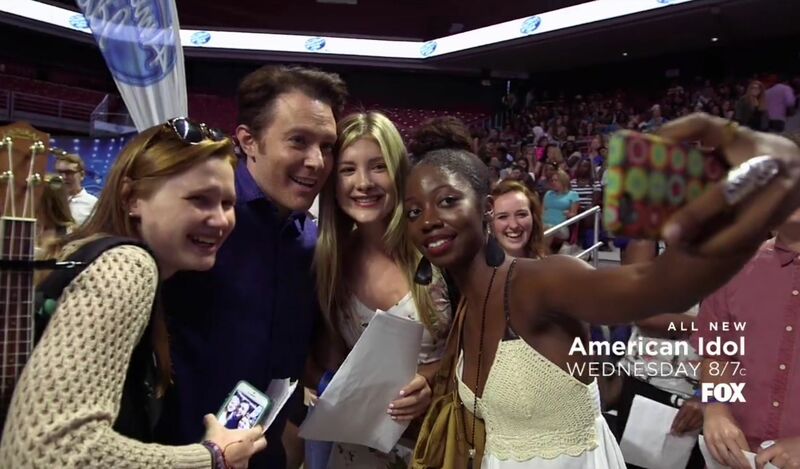 I've set my clock for Wednesday night's American Idol! 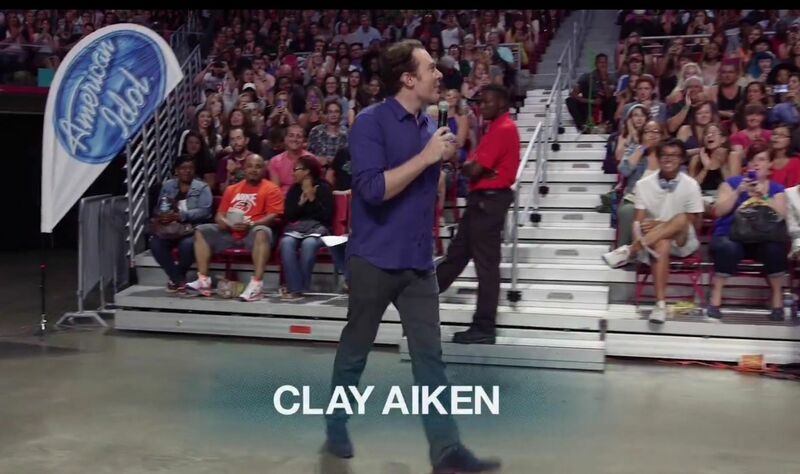 Hope to see more of Clay, judging candidates in Philadelphia ! Great pictures of Clay, looks as though as he is having fun! My condolences to the Bowie family and may he rest in peace! 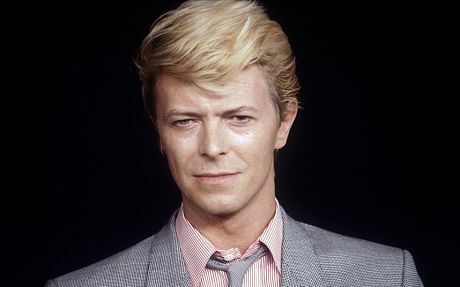 David Bowie is a legend in the music world! We will miss him! Some are saying this video clip isn't available now? What the heck? So sad to hear about David Bowie's passing. He was a quite an entertainer over the years. Have a good day! Unfortunately, they did take down the video…then a few hours later, it was back up with no Clay. Sad, really! I was so sad to hear David Bowie had passed. I really loved his music. I was afraid there would be backlash to Clay from his remarks, even though I agree with him. I guess we will have to wait & see. I hope this won't change his appearances on AI. They took down his videos because of his bashing of the AI judges. I was wondering if that was going to happen. I thought maybe it was too late to yank him. I don't think Clay is losing any sleep over this. Just not happy that we won't be able to see him. Wednesday can't get here fast enough! Hope we get to see lots of Clay. Error: Error validating access token: Session has expired on Tuesday, 21-Aug-18 16:13:01 PDT. 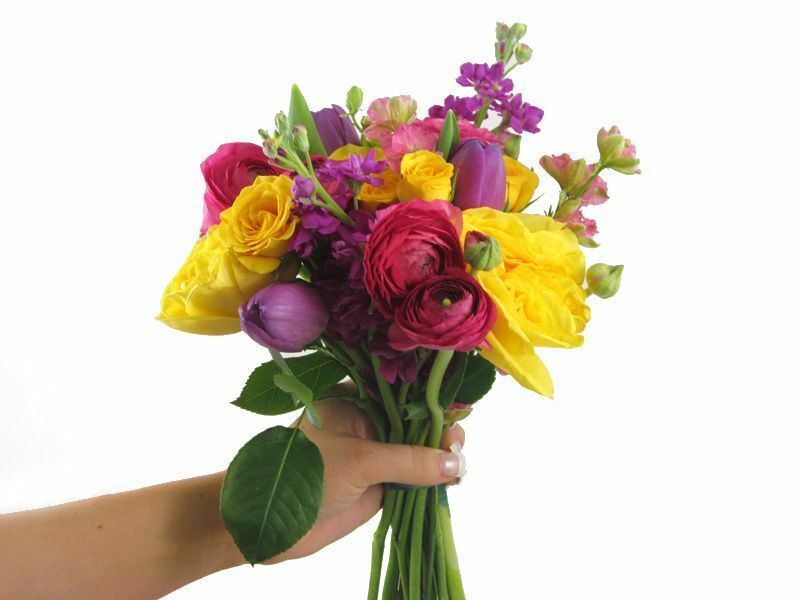 The current time is Sunday, 21-Apr-19 22:36:29 PDT.